Bluepoint Games brings a 2012 Vita title to the PS4, with James on hand to judge whether it defies gravity or sinks like a stone. Hekseville is a hell of a place to wake up. 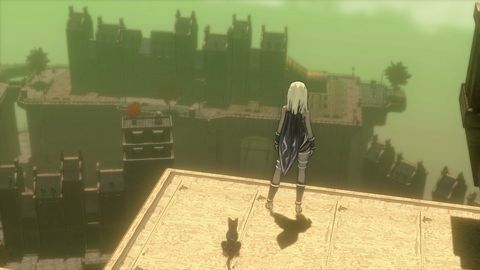 But that's just what happens to Gravity Rush Remastered's heroine Kat, a girl who finds herself stranded in the otherworldly city with no memory of how she got there. Dazed and confused, it's in Hekseville she meets a strange black cat called Dusty, who gives her the power to manipulate gravity, allowing her to fly and walk on walls. But it's not all physics-defying fun for Kat, as she has to protect Hekseville from the monstrous Nevi and gain the trust of the people - not to mention piecing together how and why she has come to this strange city in the first place. The remastered version looks gorgeous on the PlayStation 4. Gaining the trust of Hekesville's populace seems relatively straightforward, as Kat is tasked with collecting crystals to power fountains, or helping people in danger of invading monsters. But it's through these challenges, particularly in the early stages of the game, that you begin to feel for Kat. Kat is confused as to why she has been given these gravity-defying powers and even as to who she is. Unsure of herself and the people surrounding her, she serves as an errand-girl for a bunch of strangers that never seem to fully appreciate her help. It's easy to sympathise with as Kat as her story unravels from one chapter to the next. 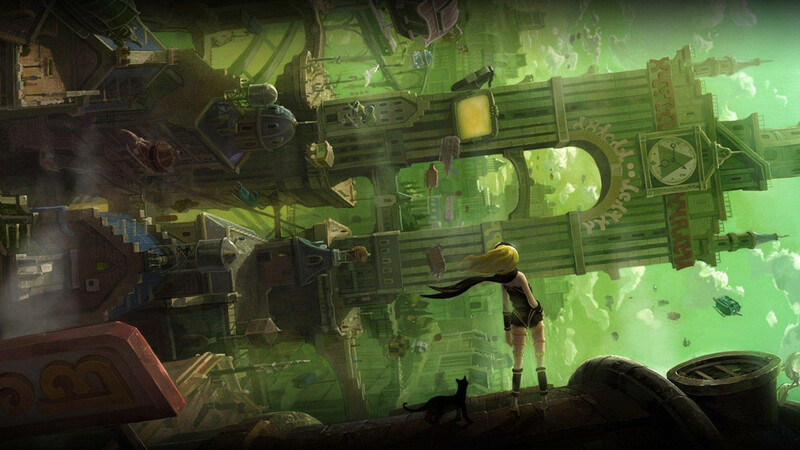 At first, the mechanics of Gravity Rush are somewhat disorientating. The physics shifting is tricky to master, though the game does ease you into its controls through the first few challenges, which serve as gameplay tutorials. There are different ways to manipulate Kat, so if the DualShock 4's motion controls aren't for you, you can always use a more traditional approach via the analogue sticks. A single button press allows you to begin manipulating gravity, which you can use to select specific areas of the environment to transport yourself to, or to use to your advantage while in combat. However, Kat can't use her superpowers indefinitely, so if you're traversing a wall and her gravity meter runs out, she will plummet towards the ground unless she's positioned the right way up. This takes some time to get used to, but thankfully, Kat's gravity meter fills up quickly, and can be replenished by collecting crystals scattered within the city. There is more to Gravity Rush than just a brainless button mashing experience. While combat is easy to get to grips with, it can start to feel a little repetitive, especially once you master the gravity kick - by far the most effective technique for facing multiple enemies. The combat isn't frantic and it isn't exhilarating. But there is more to Gravity Rush than just a brainless button mashing experience, thanks to its charming lead character and engaging storyline. What's more, the RPG-style of levelling up can add extra dimensions to Kat's genetic makeup, like enhanced attack skills or increased tolerance to damage. 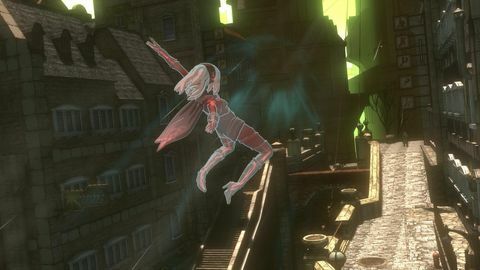 Whether watching the story unfold in comic book fashion, partaking in battle, or simply travelling from one area to another, you'd be hard-pressed not to find Gravity Rush a visual treat. This remastered version looks gorgeous on the PlayStation 4, thanks to some exquisite art design and a smooth 60 FPS. The colour palette is particularly impressive, with greens and oranges lending the game a unique appearance with which your eyes will never grow bored. In addition to the gorgeous visuals, a pleasant soundtrack compliments both the story and the graphics superbly. Also, as the PlayStation 4 version includes all the DLC from the original Vita release, you can expect the story to keep you busy for around ten hours. Gravity Rush was a real gem back in 2012 for the PlayStation Vita, and Remastered is a worthy addition to the PlayStation 4's catalogue. It certainly whets the appetite for the upcoming Gravity Rush 2, expected later this year. 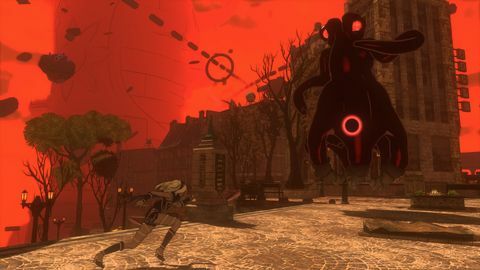 Fun, innovative, and unique, Gravity Rush is well worth your time, bringing an original action-adventure from the small screen to a bigger one. Ups Fantastic visuals. Original and charming story. Innovative gravity-based gameplay. Downs Combat can get a little repetitive. Optional motion controls aren't for everyone. Combat can get a little repetitive.